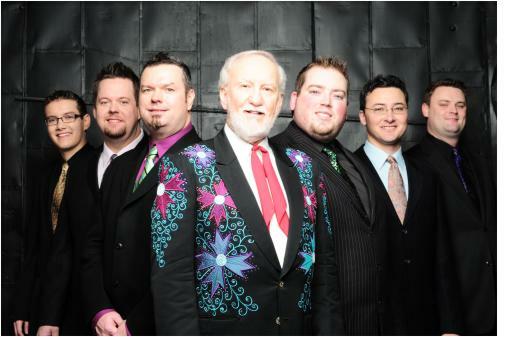 Bristol, TN/VA — The Birthplace of Country Music Alliance presents Mountain Stage with Larry Groce at The Paramount Center for the Arts Sunday, October 7, 2012 at 7:00pm in Historic Downtown Bristol, TN. Headliners for the event were announced at today's press conference by show host Larry Groce, via taped message, who was travelling between shows. Bristol, TN/VA -- The 16th Annual Leon Kiser Memorial Tribute Show will honor Emily Spencer, The McPeak Brothers, Stoneman Family, Vanover Sisters, and Harry Esenwine for their contributions to Bluegrass music. Enjoy music from White Top Mountain, The McPeak Brothers, The Stonemans, Breaking Tradition, Lightnin' Charlie, ETSU Bluegrass and Old Time Bands, and many others. The Appalachian Cultural Music Association (ACMA) will present their annual memorial concert at the Paramount Theatre in Bristol, Tennessee on Saturday, February 25th. The concert is named in memory of the late Leon Kiser who was bandleader of his group the Holston Mountain Boys for over thirty years. 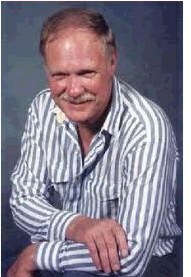 Kiser was also a local legend who not only performed bluegrass music but also was a promoter of the music as well in the regions of East Tennessee and Southwestern Virginia. Proceeds from the concert will benefit the ETSU Bluegrass, Old Time, and Country Music Scholarship Fund. Tickets $15 Reserved. 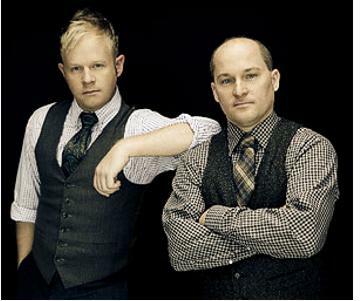 Bristol, TN/VA -- Bristol's The Paramount theater is pleased to welcome back multi-award winning bluegrass music artists Dailey & Vincent. 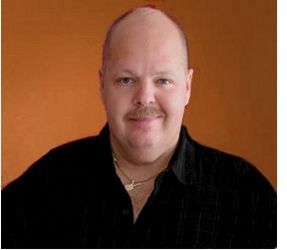 This dynamic duo will have the opportunity to kick off the 2012 season for The Paramount. Loved by all who come to see their amazing talent, the theater hopes that you will be able to participate in what promises to be one fantastic evening of music. Bristol, TN/VA -- Since 1968, the Appalachian Express Chorus has been entertaining audiences with the sounds of four part Barbershop harmony. The men who comprise the Appalachian Express come from all areas of the greater Tri-Cities, and their talents have allowed the Chorus to become one of the most respected singing organizations in the region. 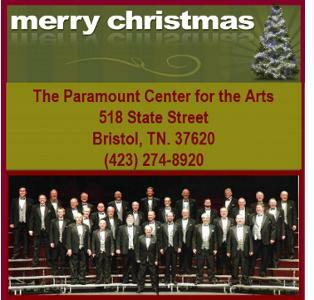 Bristol, TN/VA -- The Paramount is excited to welcome back Doyle Lawson and Quicksilver for their annual Christmas show. This award winning group is always a crowd pleaser, and a joy to have in the theater. Beautiful harmonies and a mix of bluegrass and gospel music, this is a wonderful show for the whole family. Doyle Lawson was recently honored with two more IBMA Awards at the 22nd Annual IBMA Awards, held at the legendary Ryman Auditorium in downtown Nashville. Lawson received awards in the categories of "Recorded Event of the Year" and "Gospel Recorded Performance of the Year."